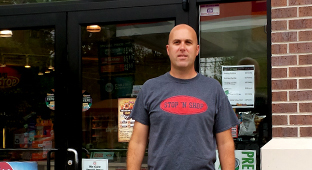 For Jason Laessig, owner of Stop ‘N Shop locations across Nebraska, teaming with NEDCO helped him refuel his business. After growing up in the industry, Jason started purchasing and leasing Stop ‘N Shop locations throughout Nebraska starting in 2007. 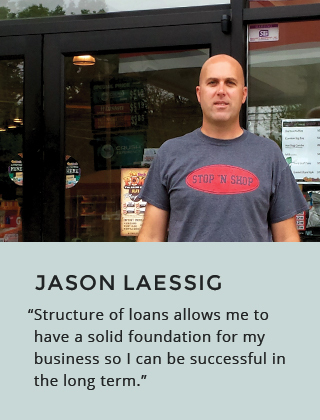 Since then, Jason has been gaining experience and has shown great success in the convenient store business. In an effort to continue expansion, NEDCO turned out to be a one-stop shop. With the help of NEDCO and the 504 Loan Program, Jason was able to purchase the convenient store he was already leasing on 48th and Randolph and purchase another location at 220 N. 48th Street, creating 10 new jobs and retaining 11 current jobs in the Lincoln community. NEDCO was able to provide a loan that offered a low down payment, low interest rates, with a fixed rate for 20 years. Having a low, fixed payment for years to come allows Jason to allocate the savings and reinvest them back into the company.